Anyone who has read this site for a while knows how much I love The Matrix. It is my personal favorite movie I've seen. To me, it's a textbook case of what an action movie should be, because the action does not define the movie. Really, the film is built by its unique mythology, brilliantly-realized characters, and deeper meanings. The philosophical and theological undertones of the movie deepen it, and make it something truly special. The characters are so classic and iconic, and you really care about them. And the action is also brilliantly done. It's not the best movie I've ever seen, but I do consider it a masterpiece in its own right. And any film will be hard-pressed to surpass it in being as entertaining and deep all at the same time, in my eyes. A couple of years ago, I talked about my top five favorite moments from The Matrix, which you can check out here. As for its sequels, I thought The Matrix Reloaded was decent. It had some good ideas and a couple cool action sequences, but was nothing compared to the original. And I barely remember The Matrix Revolutions, which is a testament to how the film ultimately turned out. For me, the original Matrix film is a truly special movie. Which is why I was so disheartened to hear that Warner Bros. will be rebooting it, with Michael B. Jordan being eyed to head the new franchise. I am not usually the kind of person who gets upset over reboots and remakes, granted that said remake or reboot is warranted. There should be a reason to make it again, more than just that it could earn the studio a quick buck. Maybe the film can benefit from a technological update? Some reason to warrant a remake. 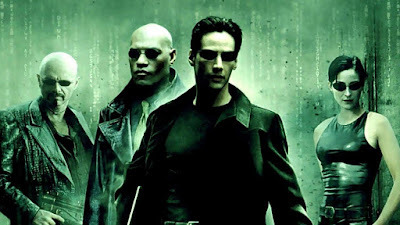 But The Matrix still holds up today, eighteen years after its release in 1999. It does not feel dated in the slightest. The majority of people today have seen it, and new generations continue to watch it. This is not the case where the film is dead and forgotten; people are still watching The Matrix. So I don't see the need to reboot it. I think there are definitely stories to be told within the existing mythology. I have been saying for a long time that they should revamp the series with a film a la Star Wars Episode VII: The Force Awakens, where you blend the original characters with new ones as a way to pass the torch. If you can get Keanu Reeves, Laurence Fishburne, and Carrie-Anne Moss to reprise their roles in order to hand off the franchise to a new group of characters led by a Michael B. Jordan, then I'm all for it! That would be incredible! 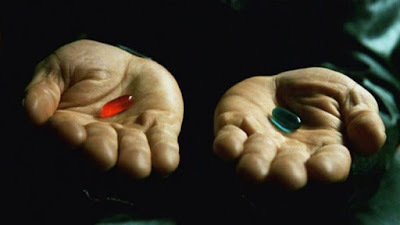 But if they are literally remaking The Matrix, with Jordan playing Thomas Anderson, and new people as Morpheus and Trinity, and it retells the exact same story as the first one, then that's just stupid. We don't need a remake or a reboot. But a new story set within the existing framework established by the first one (we can probably forget Reloaded and Revolutions at this point), I think that could be something really great. What do you think? Do you want to see a reboot of The Matrix? Should they remake the first one, or have a new film set within the existing franchise? Do you like The Matrix Trilogy? Leave your thoughts in the comments section below.